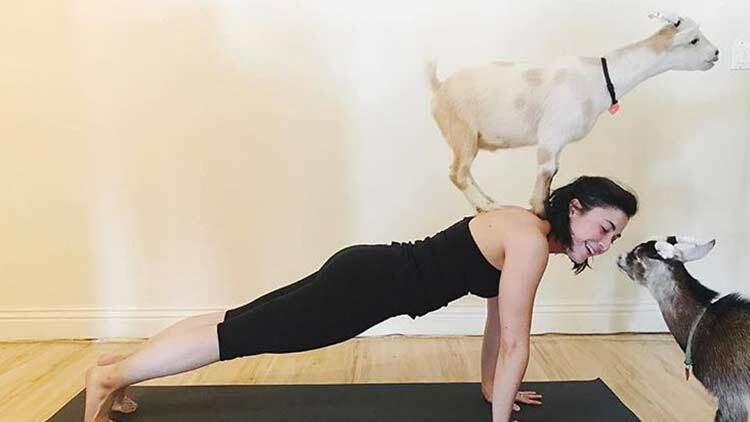 Join us at Laughing Frog Yoga for the baaaah-dass craze that’s sweeping Los Angeles – Goat Yoga! We are the only yoga studio in Los Angeles offering Goat Yoga classes, birthday parties, team building events, and film shoots and our furry friends can’t wait to meet you! Book your tickets below! Not sure what to expect? Watch our featured videos on Fox Good Day LA , LATV, and CBS Sunday Morning! Sunday, May 5, 3pm: Buy Tickets Here! Saturday, May 11, 4pm: Buy Tickets Here! Sunday, May 19, 1pm: Buy Tickets Here! –April is sold out and we are now booking for May! Get your tickets before our baby goats grow too big and retire! Add yourself to our pre-sale list to be notified about future goat yoga events. –Laughing Frog Yoga specializes in hosting goat yoga birthday parties and corporate team-building events! Please complete our private event infosheet to learn more! –To schedule a media or film shoot, please call or email us. Laughing Frog has extensive experience with goat yoga film shoots for social influencers and popular television programs across Fox, ABC, NBC, Bravo, YouTube and more! –Goat Yoga makes the perfect gift! Purchase online giftcards here! Sunday, March 17th, 1pm: Sold Out! Sunday, March 17th, 3pm: Sold Out! Sunday, March 24th, 1pm: Sold Out! Sunday, March 24th, 3pm: Sold Out! Saturday, April 6th, 4pm: Sold Out! Sunday, April 7th, 1pm: Sold Out! Sunday, April 7th, 3pm: Sold Out! Sunday, April 14th, 1pm : Sold Out! Sunday, April 14th, 3pm: Sold Out! Saturday, April 20th, 2pm: Sold Out! Sunday, April 21st, 1pm: Sold Out! Sunday, April 21st, 3pm: Sold Out! Sunday, May 5th, 3pm: Sold Out! Sunday May 19th, 3pm: Sold Out! 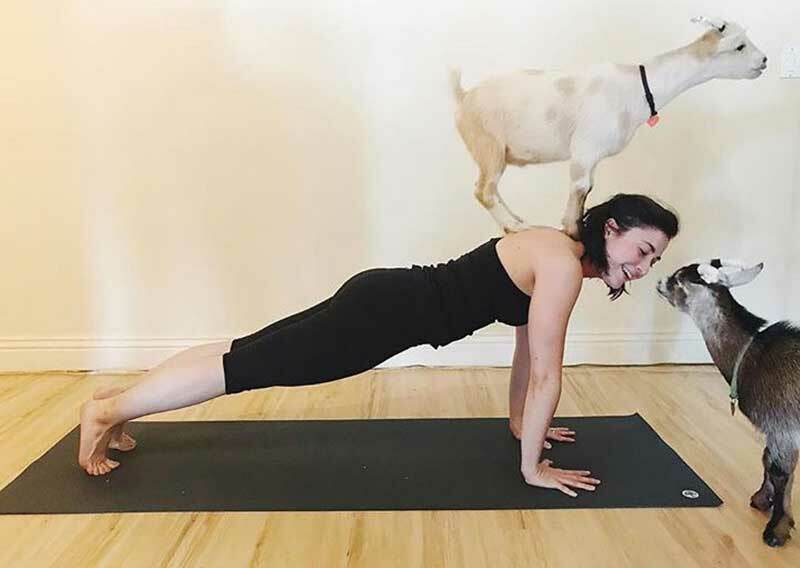 We’re the only studio in Los Angeles offering Goat Yoga! Schedule your next class here!